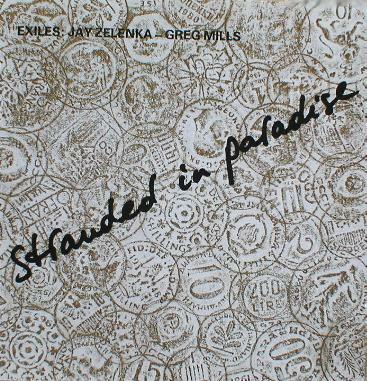 Jay Zelenka plays kalimba, flute, wood & bamboo flutes, percussion, prepared piano, alto sax, bowed gongs. Greg Mills plays piano, percussion, celeste, kalimba, prepared piano, temple bowl gongs. "We are all Stranded in Paradise. Exiles' music call us to wake-up and move onward toward the ancient future: Stop talking. Simply open your ears wide and listen. You may enter a new reality, strangely familiar but previously ignored. The antidote to artifice is here."